After Jesus died on the cross, everyone thought it was the end. No one believed he was the Savior of the world. But … on the first Easter morning, everything changed. 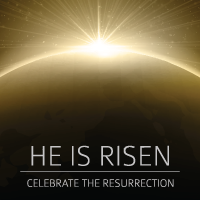 Celebrate the resurrection this year at South Bay Bible Church, 578 Montauk Highway, East Moriches, on Easter weekend, Saturday, April 20, at 5:00 p.m. and Sunday, April 21, at 9:00 and 11:00 a.m. In a world where 300 million people suffer from depression, according to the World Health Organization, we can use fresh hope. That’s why Pastor Hawley will begin a new teaching series this Easter: Down and Out: Finding Hope. If you’ve ever fallen behind in life, it’s likely you’ve experienced the stubborn darkness of depression. Down and Out will help you find times of refreshment during the dark moments of life. On the first Easter morning, the stone was rolled away, and the tomb was empty. Over the next 40 days, Jesus appeared to more than 500 people gathered at the same time. Everyone had new hope, and the hope of the resurrection still exists today. Come and discover how this amazing event not only changed history but still changes lives today! Experience God’s love this Easter at South Bay.